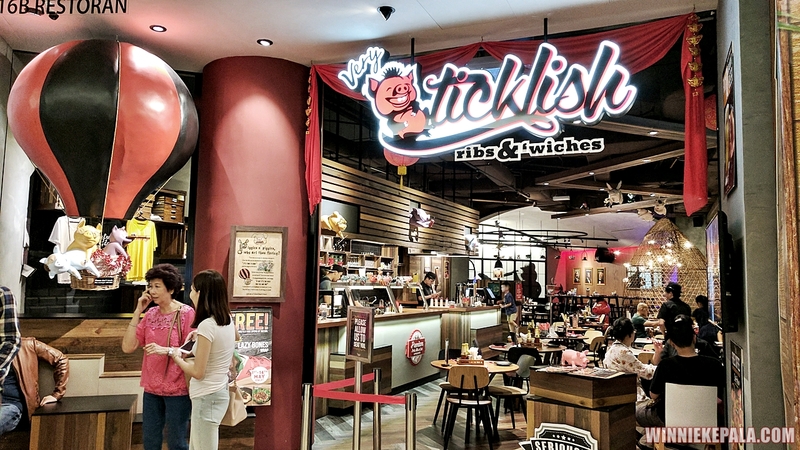 I’ve been eye-ing Ticklish Ribs & ‘Wiches for awhile now since it’s opening. Whenever I’m in Gardens, I just automatically walk to Ippudo (read my review here), my favourite ramen in town. But this one Sunday, me and Hubby decided to pop in and try this non-halal, pork ribs place a few doors down from Ippudo Ramen and Sushi Zanmai. We tried a few of their signature dishes, which I didn’t get to capture much pictures. But I did say I’ll come back. And I sure did. This time for a late lunch Mother’s Day Sunday with my family, so we can try all sorts of dishes with a bigger group. Excited to try all the delicious flavours of pork ribs and other dishes. I commented that nobody will likely confuse this place as a Halal restaurant. Right up front, and all inside the restaurant, there are pigs everywhere! Pig figurines, cartoon pigs mural, pig paintings and posters. There are even booth seating at the back that looks like pig cages. In fact, at the back, there’s a small raised platform area with an execution chair! Now, this one I’m not so sure about. 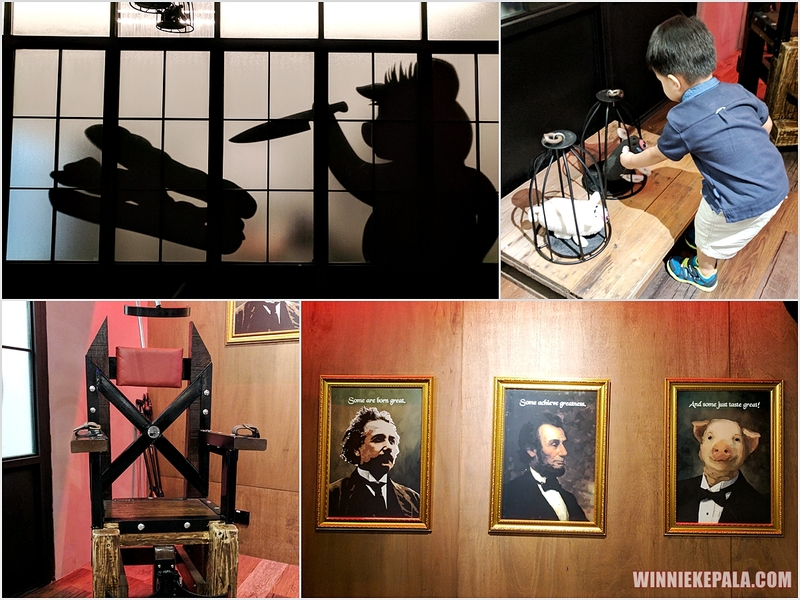 Suddenly, it looks a little torture chamber and a little disturbing. Twice I came with #babyHead and twice he asked “Mommy hold”, perhaps he’s a little uncomfortable with the decor? 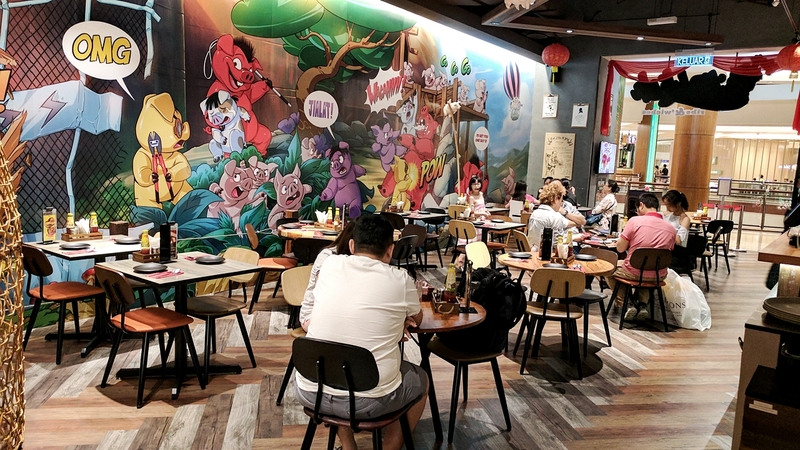 I came on a Sunday during off-peak period and the place is relatively empty and easy to find table seating. I hear it gets quite crowded at lunch time with a queue outside. If you don’t know by now, the place serves pork ribs and other porky dishes. Almost everything on the menu is pork based. There is a small section for chicken dishes, but that’s about it. I love the crazy signages around the restaurant. So many funny puns and posters like, “Keep Calm and Makan Babi“, and even their menu have all sorts of crazy, wacky names like, “Happily Hamsup“, “Koochy X2 Curry“, “Babischetta“, “Chewbakkwa“, “Hoilam Ting“, “Ssshock Sendiri” and more pun-y names. Their Pork ribs comes in various flavours, with price ranging from RM 23 (half ribs, 3 pcs) to RM 45 (full slab, 6 pcs). And we ordered the whole lot! The Signature BBQ Ribs comes in Spicy and non-spicy variant, depending on your preference. 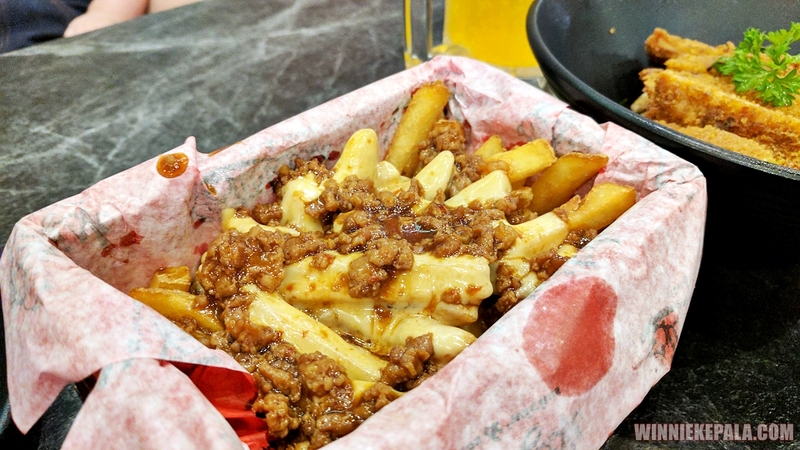 There are other variations of this flavour in rice and cheese, or sloppy fries. Malaysians love all things Salted Egg Yolk, am I right? 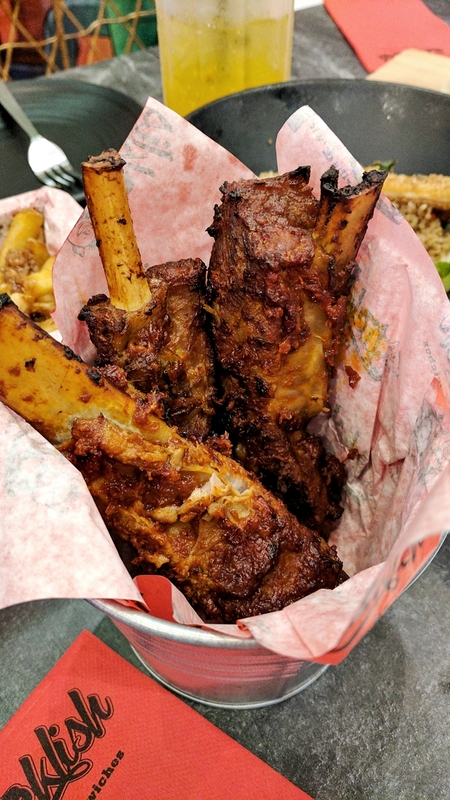 And for sure, we ordered this one in its purest pork ribs form. My brother commented that the sauce got a little over powering for his liking. He couldn’t really taste or enjoy the rib. Personally, I love it. 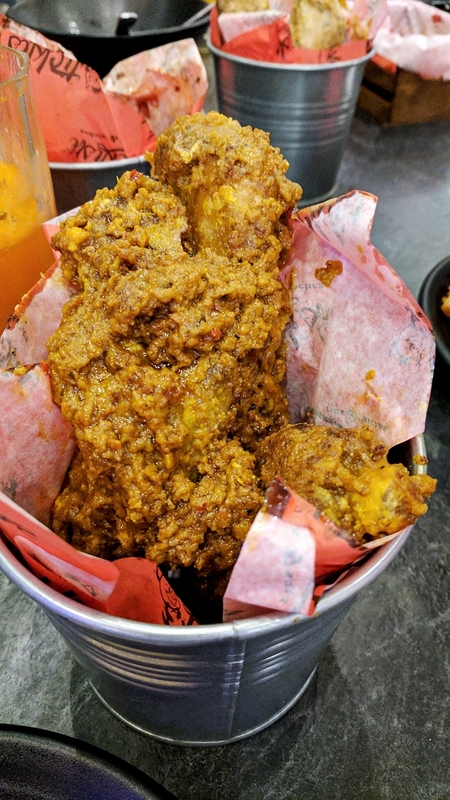 It’s fully coated in a wet based salted egg yolk sauce and is oh-so sinfully satisfying. 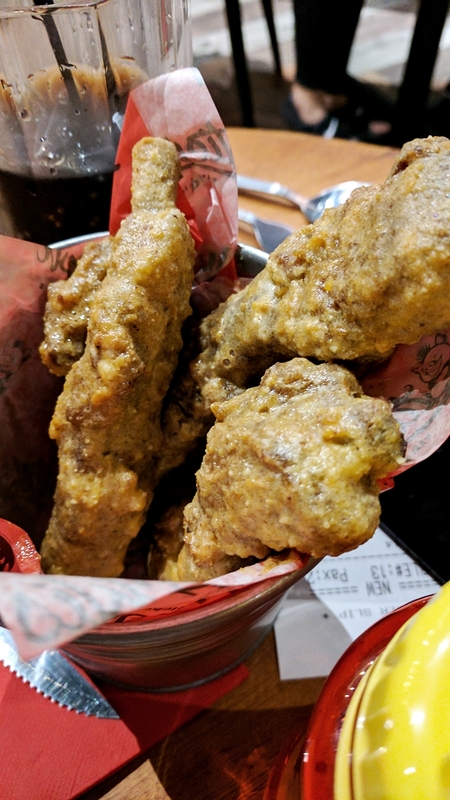 None of that deep fried ribs, then coat in salted egg yolk just on the outside. This is a generously wet sauce all over the ribs. 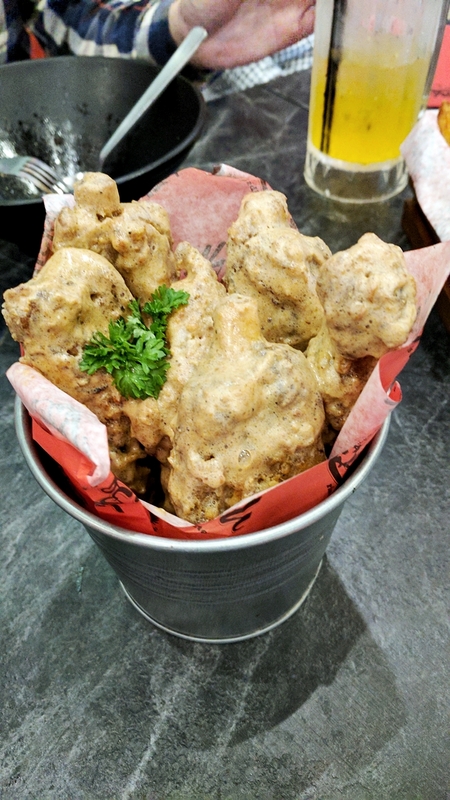 The “Happily Hamsup” Salted Egg Yolk is easily their customer’s favourite. There are multiple variations of this flavour, too, whether it’s fried rice, pasta, sandwich or salad – in pork fillet, or balls form. Thought we ordered too much food, but the waitress recommended we try this, as it is one of their all time best seller. And it didn’t disappoint! Easily the top favourite dish of everything we ordered. If you come alone, or didn’t have a big group to order a bunch of different stuff to try, you must order this Salted Egg Fried Rice! I can eat this everyday! I don’t know what to say – it’s just simply Curry-licious. This is one of the flavours that’s very telling of how Malaysian this restaurant is. It has a distinctive curry flavour and I almost wish I had some briyani to eat this with. 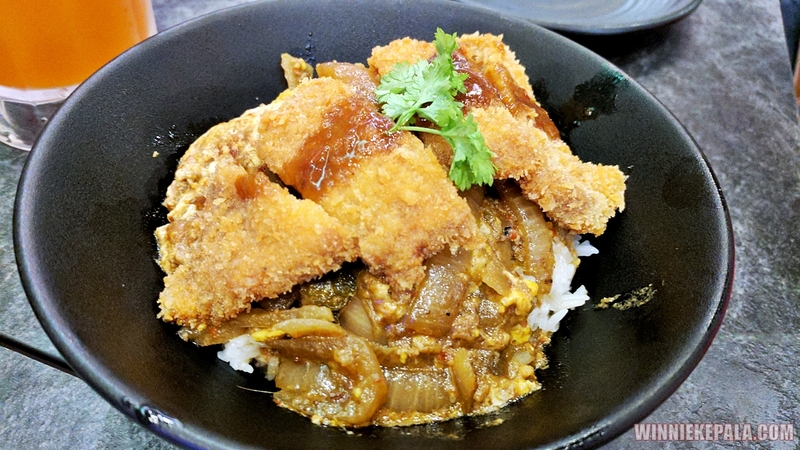 Good thing that they have a Curry Mince Pork with Toast (RM 12) on the menu for this flavour. 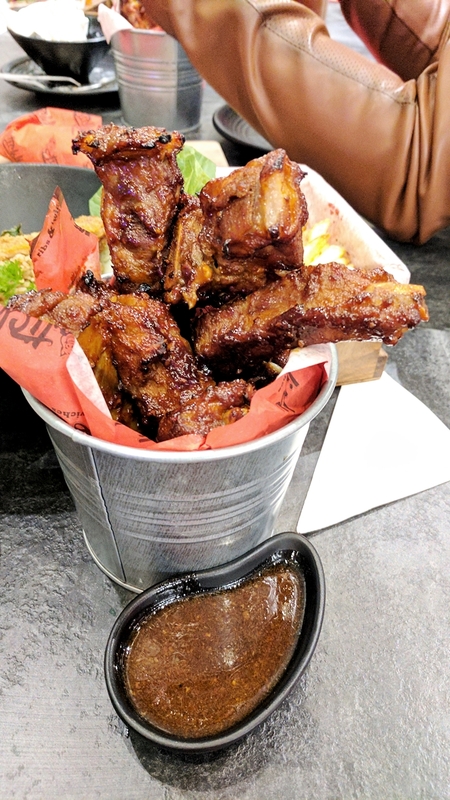 To round up all flavours of pork ribs on the menu, we also tried the Chilli Sambal version. The sambal is spicy. And if you’re a fan of spicy sambal, you gotta try this too. 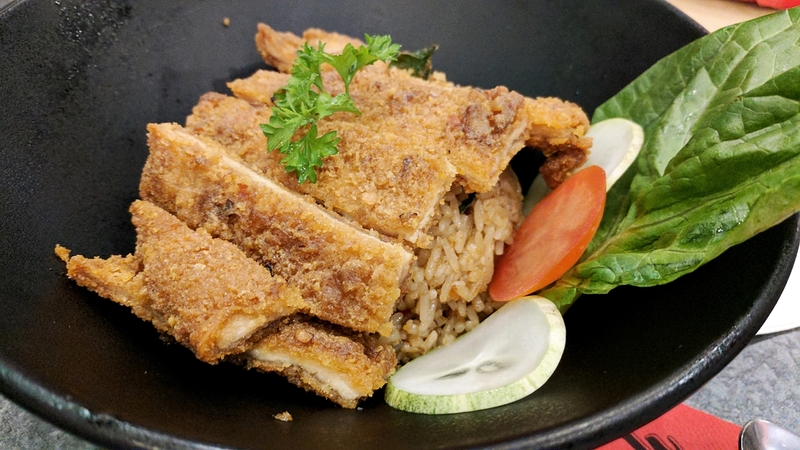 Flavour is so good that you almost hope that this is in a nasi lemak form. 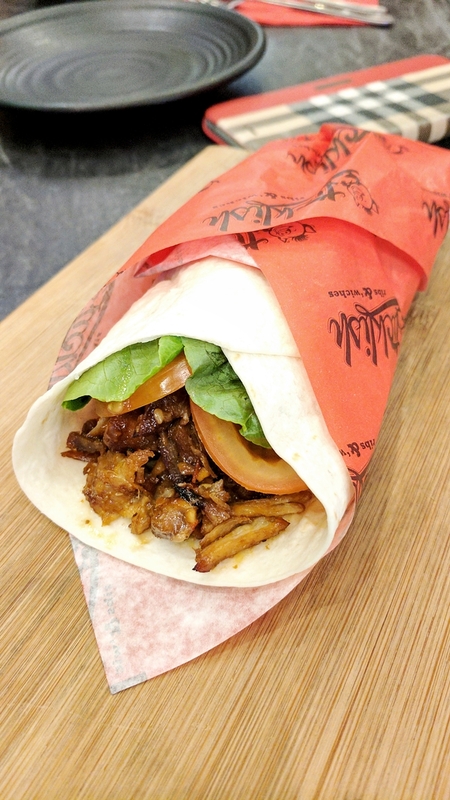 Because it was Mother’s Day Sunday, we got a complimentary Lazy Bones Wrap. It was nice, but we already have too much food on the table to truly appreciate this. O.M. 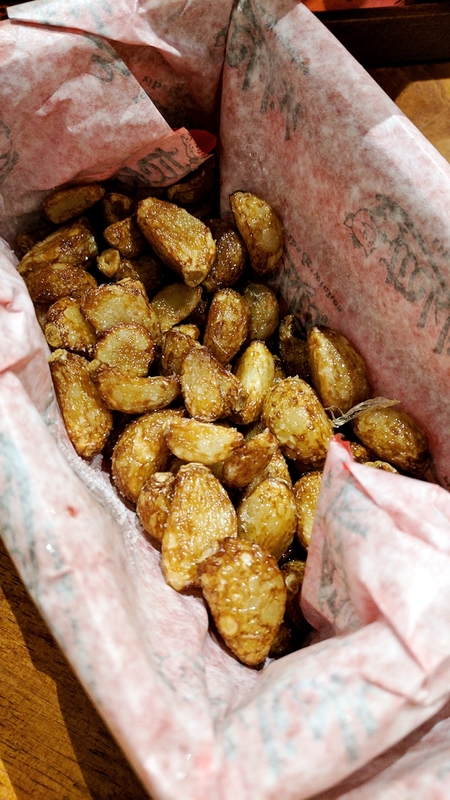 Garlic (RM 8) – Deep fried garlic, lightly salted. 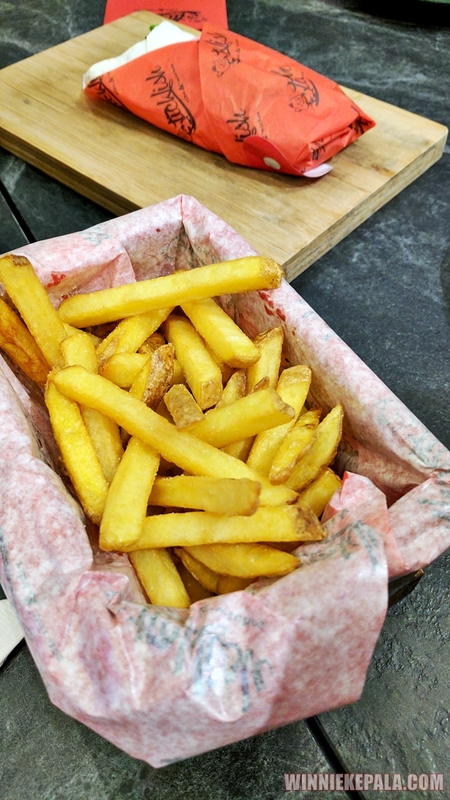 Hubby thought this would be fried garlic topping on a bed of fries. It’s actually pure garlic, pure fried garlic. Pleasantly surprising for sure. 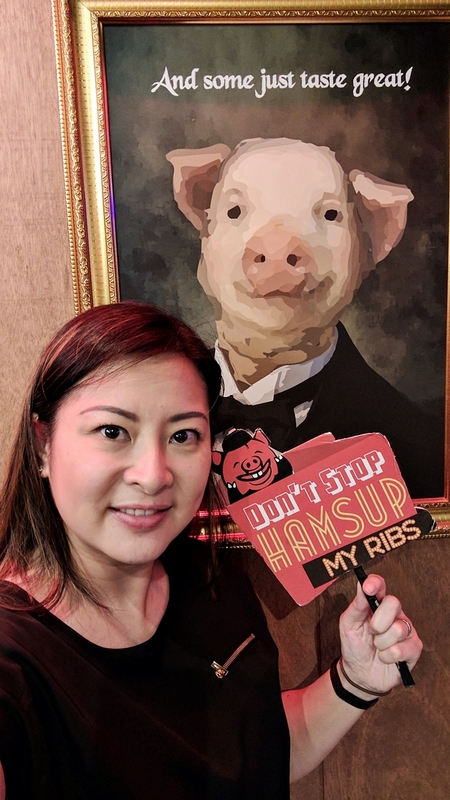 This pun-tastic Malaysian pork ribs restaurant is amazing. With more and more non-halal options these days, I urge you to check out this restaurant for great pork ribs. 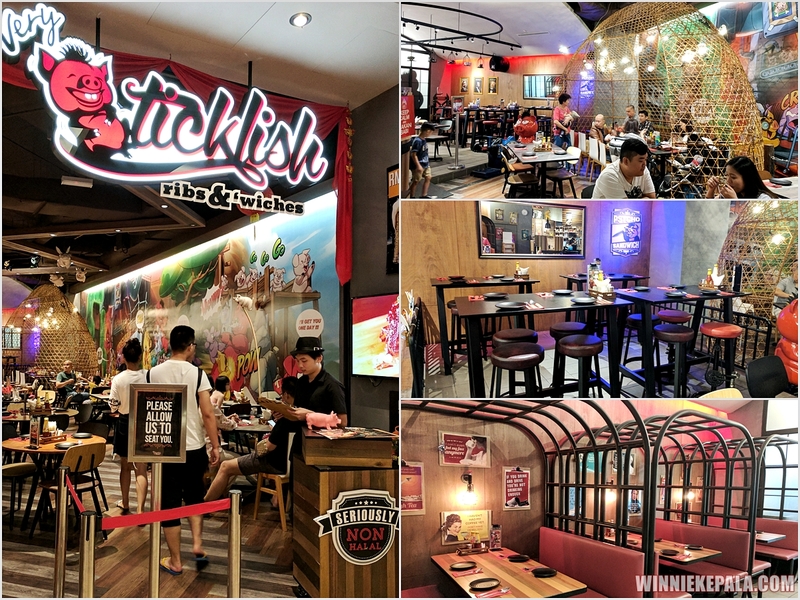 Ticklish Ribs & ‘Wiches original branch is actually in Sea Park in PJ, but this Gardens branch was more convenient for me. Would certainly come back for more porky fix. With larger group, so we can try more dishes. We haven’t even touched their pasta, sandwiches, salads or their other appetiser dishes yet. It’s quite an extensive menu, and an enticing one as well.